Stortorget in Karlshamn is the historical and today still regularly used marketplace in the center of Karlshamn. Like the city, the square was planned and built around 1660 on the drawing board. The square is laid out quadratic. With its dimensions of 100x100 meters, Stortorget occupied one block of the checkerboard pattern of the historic center. Stortorget is a highly frequented place in the city center with a market at six days a week. The area of the square is equipped with benches, a fountain, several trees and a space for events and performances. In addition, plenty of parking spots are available. The buildings on the edge of Stortorget consists of older houses with shops and three notable historic buildings. 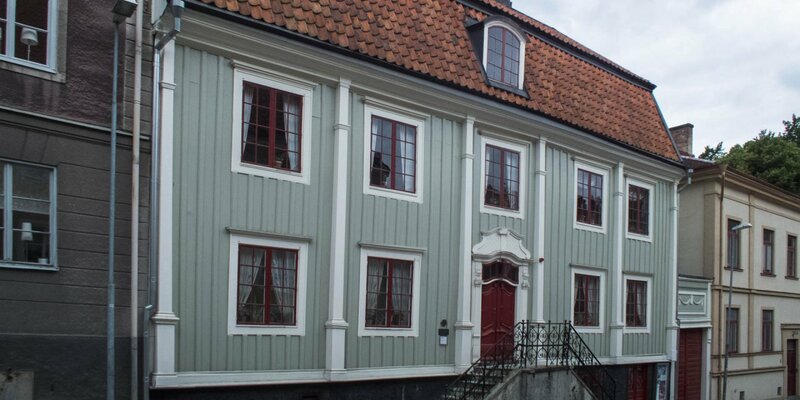 The oldest of these buildings is the so-called Asschierska Huset, which is at the northwest corner of the square. 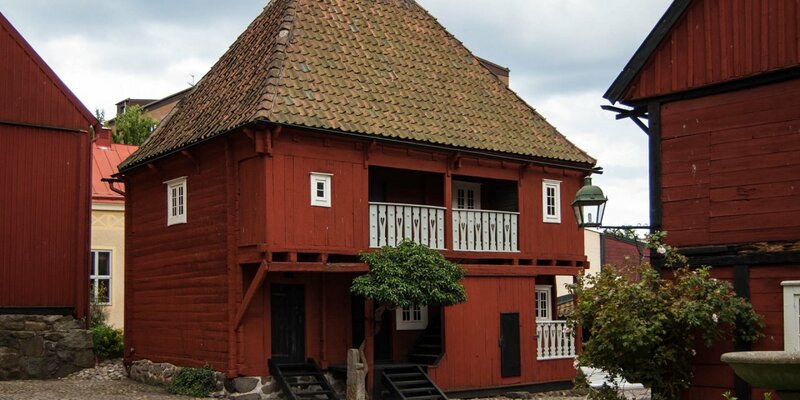 The two-storey half-timbered house was built in 1682 as the first town hall of Karlshamn and was also home to the city jail. 1814 after the building had become too small as a town hall, it was sold to the merchant family Asschier and still carries their name. Only separated by a small street, Carl Gustafs Kyrka stands on the north side of the Stortorget since 1702. 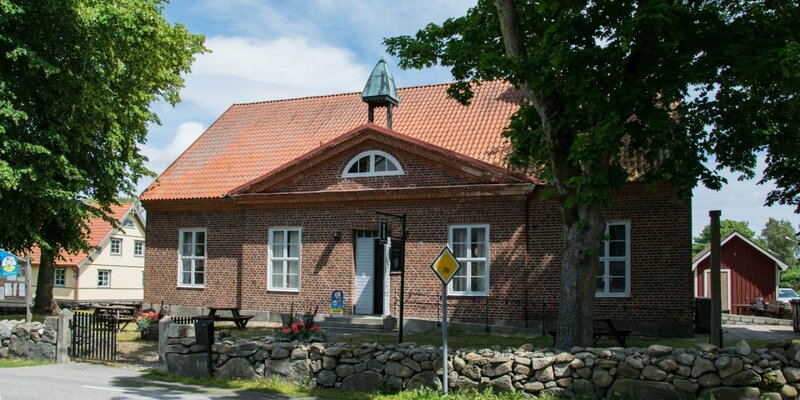 Basically, the church is almost as old as the Asschierska Huset, because it was already in construction in 1682. Due to certain financial bottlenecks the masonry was not completed until 1693 and full completion of the building took another nine years. 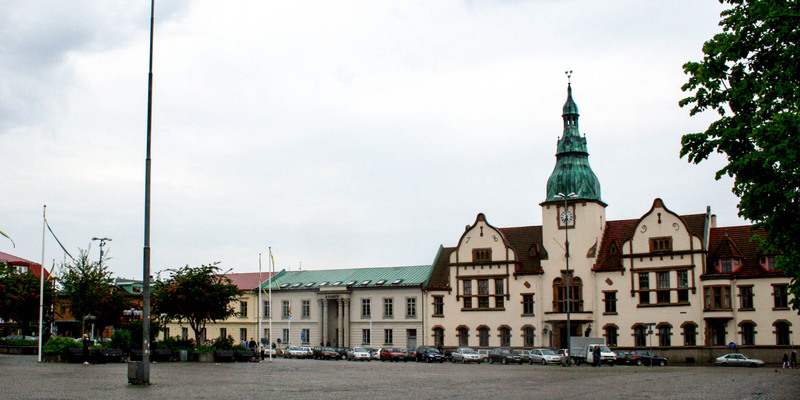 On the south side of the square is the town hall of Karlshamn which was built from 1899 to 1900. The building was designed by the architect Lindberg in dutch renaissance style. His design won the architectural competition for the construction of the new town hall in 1896.